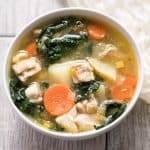 Paleo & Whole30 Potato, Leek & Chicken Soup with Kale – a healthy and flavorful detox soup recipe. Gluten free, grain free, sugar free, dairy free, clean eating. 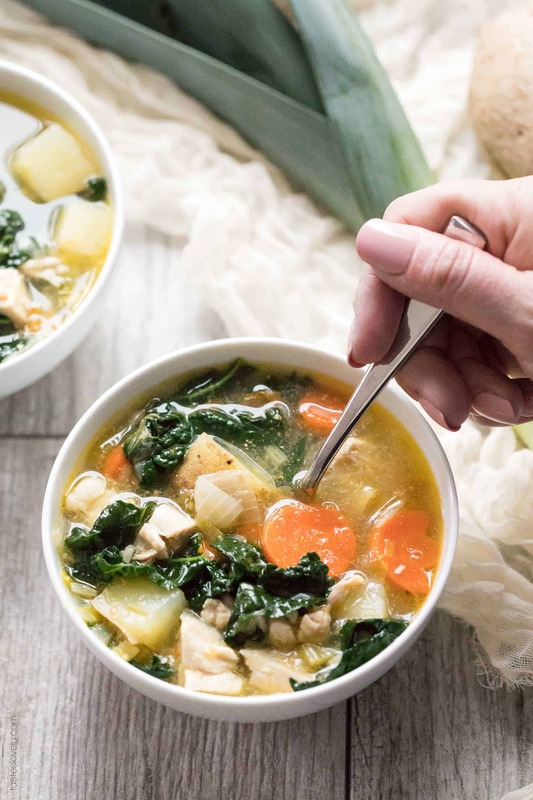 If you are feeling even slightly sick with a cold or flu, or perhaps you indulged in some rich, decadent food over the weekend, this Paleo & Whole30 Potato, Leek & Chicken Soup with Kale is my favorite recipe to reset and start feeling better. 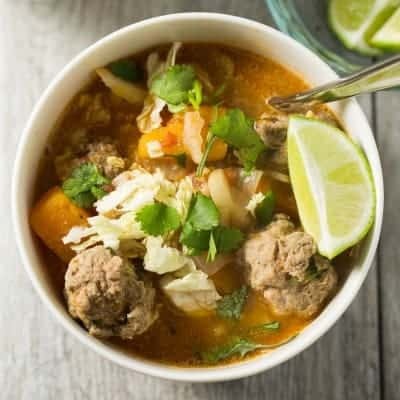 It is packed with vegetables and protein and the tastiest broth. It feels like a cleansing, detox dinner that nourishes your body. 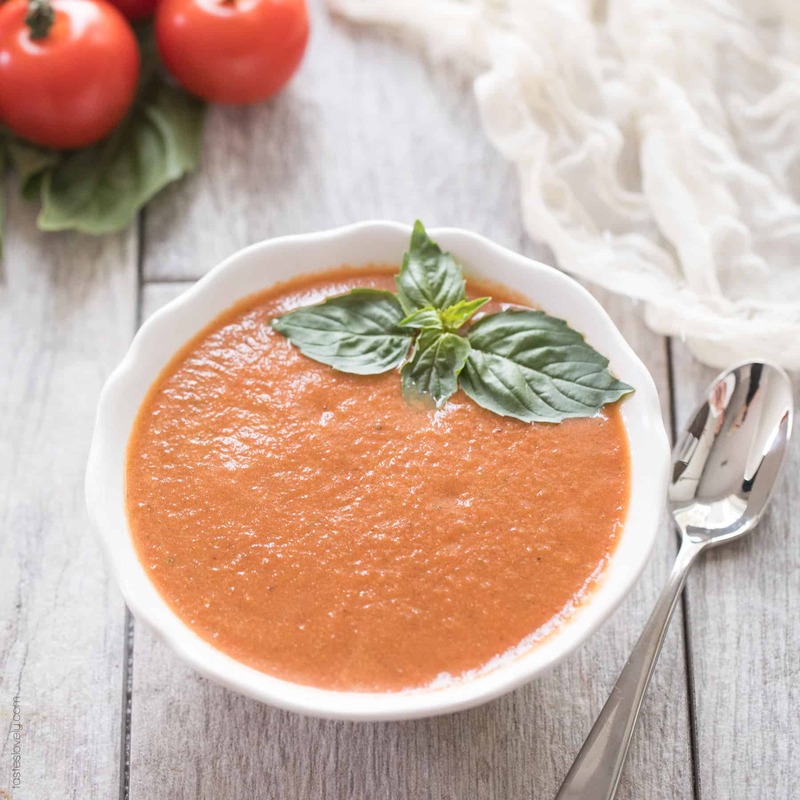 We all got a cold last week, and I wanted to make us a nutritious soup that would soothe our sore throats and fuel immune systems. 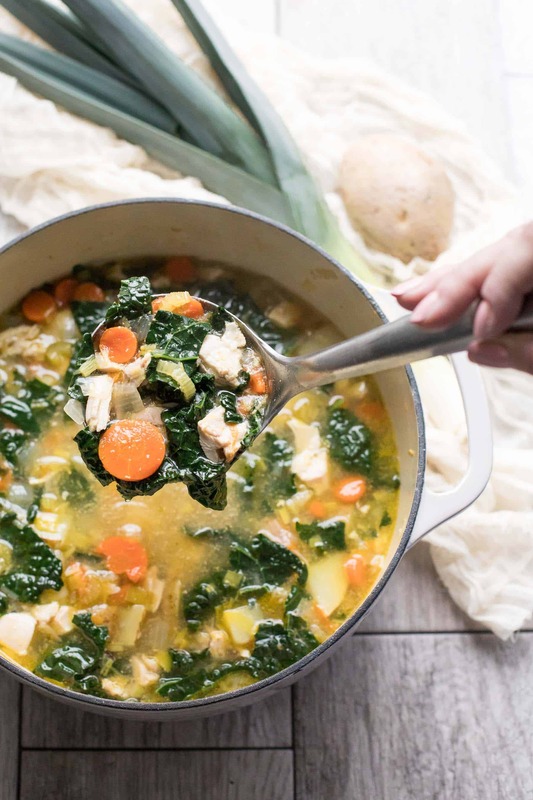 I love serving us this potato, leek & chicken soup with kale because it has tons of healthy vegetables: carrots, celery, onion, leek and kale. Lean protein from the chicken thighs. And the most flavorful chicken stock that instantly warms my body and gets me feeling better. The secret to the soup is the chicken broth. I make a double stock so it is extra flavorful. Because my favorite part of brothy soups is of course the broth. I use chicken thighs in the stock since chicken thighs have so much more flavor than chicken breasts. Love that their more affordable too! I then also use chicken stock in the soup. Please never ever use water in soup. You can get so much more flavor by using chickens stock! 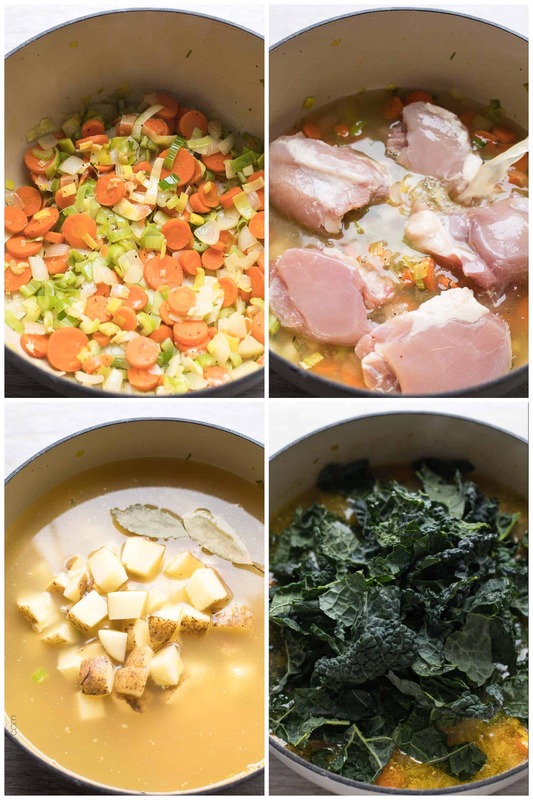 The chicken stock gets tons of flavor from the leek and vegetables and chicken thighs. I’ve also made this soup after indulgent weekends filled with lots of food! I made this on New Years Day after we had a very rich and fancy New Years Eve dinner. 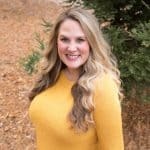 It’s a great way to reset and start on a healthier path. 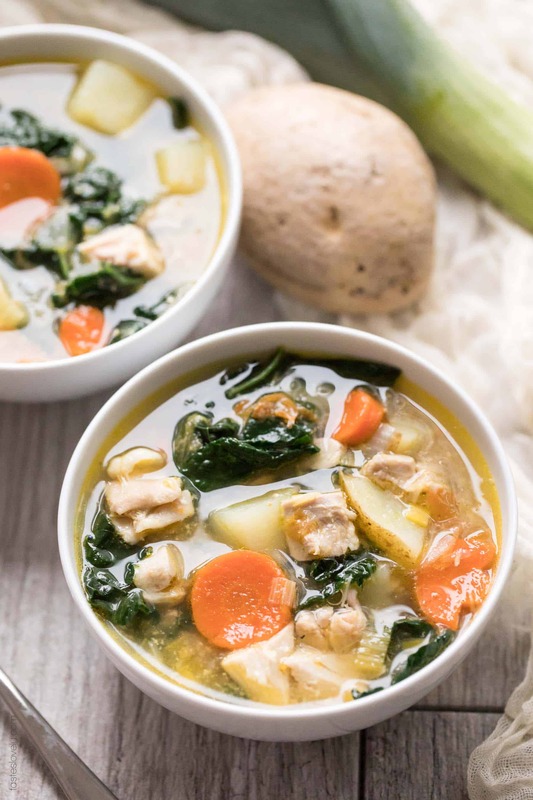 Not only is this Paleo & Whole30 Potato, Leek & Chicken Soup with Kale delicious, but it is extremely healthy! Paleo, Whole30 approved, gluten free, grain free, dairy free, sugar free and clean eating made with only real ingredients. Heat a dutch oven (or large soup pot) over medium heat. Add the olive oil leeks, onion, carrots, celery, garlic, salt and pepper. Cook for 8-10 minutes, until the vegetables are softened. Add the chicken thighs, potatoes, chicken stock, thyme and bay leaves. Simmer over medium low heat for 1-2 hours partially covered, until the chicken thighs are cooked through to 165º using an instant read thermometer and the vegetables are fork tender. Remove the chicken thighs and bay leaves. Discard the bay leaves. Chop the chicken thighs into bite size pieces then return to the soup. Add the kale leaves and cook another 5 minutes. Remove from heat and taste for salt and pepper, add more if desired. Serve the soup warm. Leftovers will keep in an airtight container refrigerated for 1 week, or frozen up to 1 year. 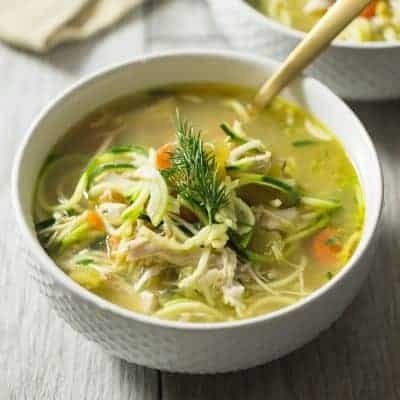 This soup is also a great use for leftover chicken or turkey! I first made this the day after Thanksgiving with leftover turkey. Just add 2 cups of chopped cooked chicken or turkey to the soup before adding the chicken stock.